I’m writing this post on a plane back to Hong Kong. I have just spent two weeks in Bali “working”— I stayed at one of the best spa retreats in Ubud, went diving with manta rays in Nusa Penida, took surf lessons, went for brunch, stayed in hotels and did yoga. All of this travel for free. With the exception of my flights, I didn’t pay for any of my activities or accommodations. You see, I am a full-time travel writer now. I review places all over the world and make sure everybody knows the best or worst places to go. Sounds like the perfect job right? And I can’t deny that it really is. On the other hand, there is no off time when you’re a travel writer, and everything you do has to be documented and scrutinized. I can’t sleep on a flight or watch movies; I have to be constantly writing and constantly talking to people. But I really wouldn’t have it any other way. Everybody asks how I became a travel writer and frankly it all comes down to a small decision to create my own website. At the age of 22, with a mortgage and a job in banking on my shoulders, I decided I was taking life way too seriously. I was living to work and not working to live. So I packed it all in. Goodbye responsibility, hello to the open road. I traveled the world, bit by bit, and then decided that I no longer needed to buy return tickets to the UK. The more people I met and the longer I traveled, people would keep telling me I should write my stories down. I had no background in writing and really didn’t think many people would be that interested in my rambles, but I did it anyway—if anything just for something to look back on and smile. I found Jimdo through another travel blogger site and I loved that I could design every little piece myself. It now became less of a writing platform and more of a creative one. But I didn’t have a name for it. I was in Ecuador and I sat down with a piece of paper and pen and wrote down everything I loved. It was a pretty simple list. And quite honestly it looked like something a child had written. ‘Swimming with fishes’ ‘slices of cake’ ‘milkshakes’ and ‘coffee’. But this was a travel website. I couldn’t call it fish flavored milkshake, but I could call it Coffee With A Slice Of Life. And that I did. Without even realizing, I picked up my coffee and smiled while seeing my slice of life, the view of an Ecuadorian volcano. My name was created. It fit so perfectly with my newly designed website. Sarah’s website uses Jimdo’s template San Francisco. I started to document everything, trips through the Amazon, the way I fell head over heels in love with Colombia, getting sick in Guatemala, and CouchSurfing with beautiful strangers. Mostly it would just be my friends reading it. However, sometimes I would get emails from people I didn’t know telling me how much they enjoyed the site. That gave me so much motivation. I loved knowing people could get inspiration from my journey. For a good year, I wrote at least once a week. I ran the blog because it was a passion, I slowly started getting more readers and then one day a company contacted me and asked me to be a part of their affiliate program. Not to look like a novice, I did my research. I started to realize there were travelers out there that had blogs like mine and were making money from them. 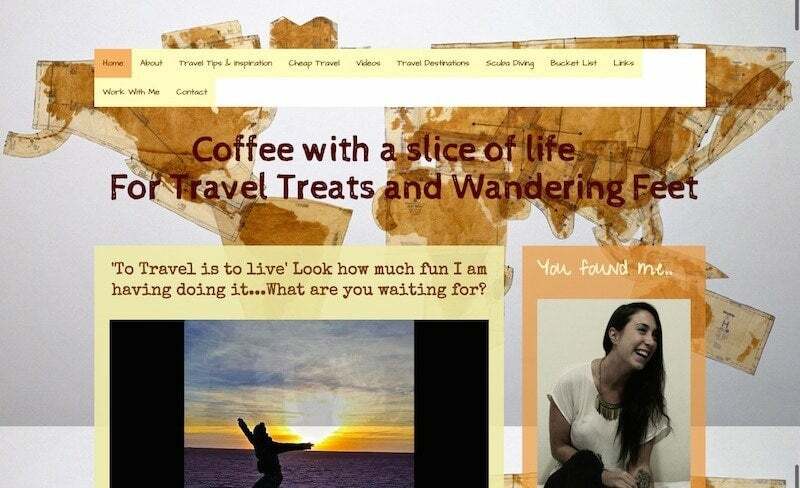 I honestly never knew you could realistically use your blog to travel for free. I signed up for the program and the next month I received my first $100. I would spend hours tweaking my website, uploading photos, changing the font, just playing around and trying to portray my personality as creatively as I could. I got more confident in my writing as I loved how my website looked. Traveling was a constant inspiration. In March this year, I moved to Hong Kong. Not on purpose, I accidentally stumbled across it after making my way to Australia. Within a few days, I had met other writers, publishers, and bloggers. I talked to everyone, I got business cards printed and I started to tell more people about my travel website. I attended every networking event I could and said yes to absolutely everything. I was here alone after all, and the city had an incredible energy about it. I knew this was where I could find freelance work if I was proactive enough. With 2 years of blogging behind me and endless hours spent on my website, I was proud to show off what I had achieved and decided to take the plunge into full-time freelance writing. I now rent a co-working space in the center of the city and type away on my laptop alongside other creative entrepreneurs. I get to travel while working and am able to share my experiences with the world. And to think it all just started with a small step of creating a website. Of course, number 1 is start a website. Remember it’s not going to happen overnight, but there is no time to start like NOW. Enjoy creating your own platform with those easy tips, and have fun with designing and branding. Stop comparing yourself to others. This is something I try really hard to do. I created my website to reflect my personality, I tried not to look at too many others in my niche as I really wanted to it to be an individual. Network like crazy. There’s the old saying “Everyone you will ever meet knows something you don’t.” Don’t be afraid to discuss your ideas and your business. Check out websites like meetup.com and join local Facebook community groups. Add your website to your email signature. Simple, but amazing how many people don’t do this. All those emails going in and out of the world wide web may just land in someone’s inbox that could be interested in you. Contribute to other websites that are in the same sector. Offer to write for them, or give them your images in return for a link to your website. Start to create a portfolio of your experiences and get your name out there on search engines. Create social media channels that drive traffic to your website. Post photos and articles that are related to your sector. Above all, be patient. If what you are posting is interesting, you will soon see the followers growing. Have fun. If you’re not doing this you may be in the wrong business. I can honestly say being a digital nomad is the best job in the world. For me. I love not knowing what is going to happen tomorrow or what country I will be in next month, but it isn’t for everyone. Money isn’t guaranteed, and plans are constantly changing. Any questions about the life of a digital nomad? Let me know in the comments. 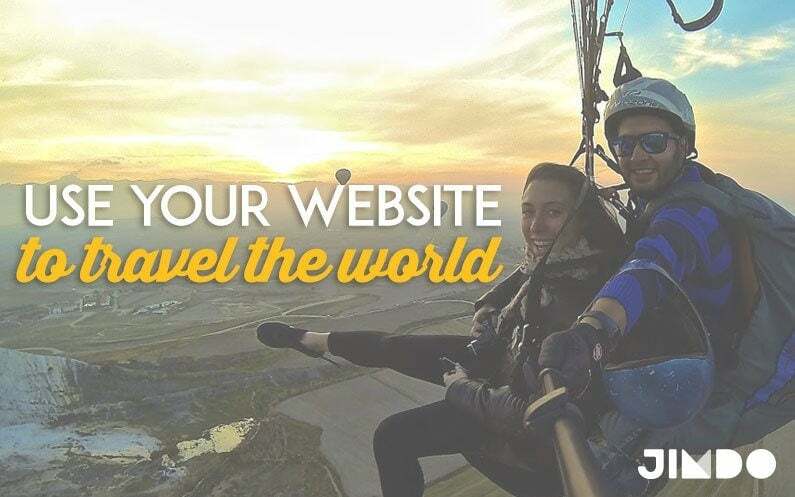 Also learn here how you can start your own travel blog!